On this blog I have taken the seemingly narrow topic of food and spun a web that connects to many different fields. I’ve spent a lot of time talking about economics, politics and other topics that may seem unrelated. I always try to bring it back to the particular focus of this blog, but I also recognize and insist that these things are connected and overlapping and should not be treated as isolated fields of study or inquiry. So, in this post I am diving in to the recent controversy about whether or how to intervene in the conflict in Syria. First, I will lay my cards on the table. I am an Anabaptist which means I believe that the way of Jesus is non-violent and that our calling as disciples is to be creative peacemakers. I wrote a little bit about non-violence and vegetarianism in the creation story way back in 2008 (Food in the Bible: Genesis 1:29-30). The end of that post says, “More on violence and food as we go…” So, here’s some more. I have been reading articles on alternatives to violence in Syria and wanted to share them and reflect on them. This was before John Kerry’s accidental diplomacy which may or may not change the picture moving forward. First, there was a great article from Yes! 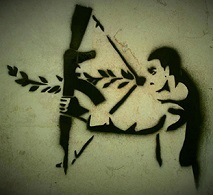 magazine called Syria: Six Alternatives to Military Strikes. I think the arguments made in that article really highlight the difference between two basic strategies and assumptions on how to achieve peace. 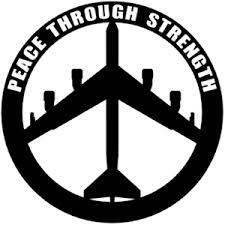 The preferred method down through the centuries has been “Peace through strength“. This was how the Roman Empire achieved pax romana. This is the core idea of Realpolitik. The whole premise of nuclear weapons and the Cold War is that displays of power and aggression (even if you know that you don’t want to use them in the case of nukes) are able to deter war and violence from taking place. A good friend of mine has recommended a well-known book by Steven Pinker called The Better Angels of Our Nature: Why Violence Has Declined which argues that though it often seems like violence continues to grow and escalate the data says that it has actually declined in the modern era. I hope to read that book someday. I wanted to anticipate the argument that the strategy of peace through strength has resulted in a decline of violence based on books like Pinker’s. Again, maybe Pinker addresses this. I haven’t read his book. History is a complicated thing to study and attributing the decline in violence to any one factor would be a gross error. I would argue (of course I would, it’s my bias) that other factors may have contributed more to that decline (if that decline is accurate) than the strategy of peace through strength. It might seem naïve to press for peace in a world where there is so much violence. But the belief that a few bombing missions and a quick exit could make a positive difference is in fact the naïve view. 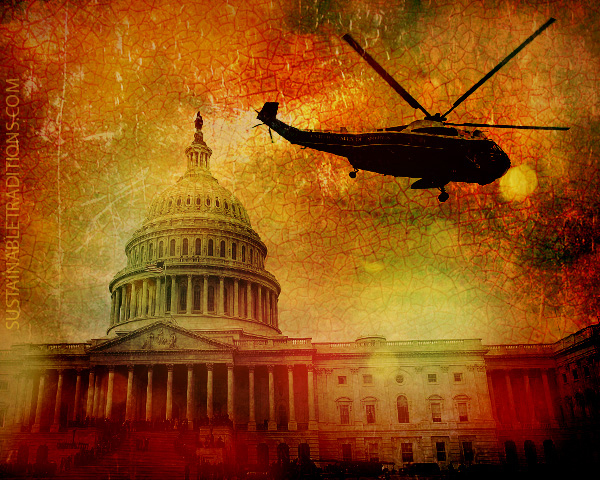 And Americans—traumatized, exhausted, and impoverished by war—have no stomach for the protracted military conflict with uncertain aims that is the more likely outcome. International law—fairly applied, patiently negotiated, with tough sanctions, and help for refugees—is in fact the most practical way to peace and justice for the people of Syria and beyond. 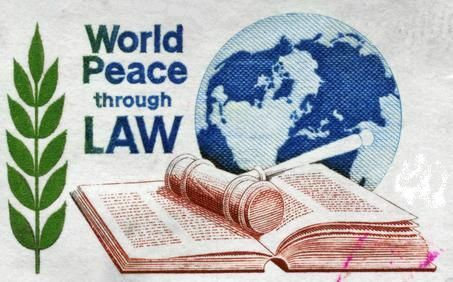 So, is the alternative to peace through strength simply the rule of law? I think that may be our best bet the way things are currently, but that doesn’t mean it is the end goal or the final solution. Paul doesn’t talk about the law in Romans 7 in black and white terms. The law has a purpose, it isn’t evil. “What then should we say? That the law is sin? By no means! Yet, if it had not been for the law, I would not have known sin” (Romans 7:7). However, it isn’t the end goal in itself. Paul goes on in the very next chapter, “There is therefore now no condemnation for those who are in Christ Jesus. For the law of the Spirit of life in Christ Jesus has set you free from the law of sin and of death” (Romans 8:1-2). 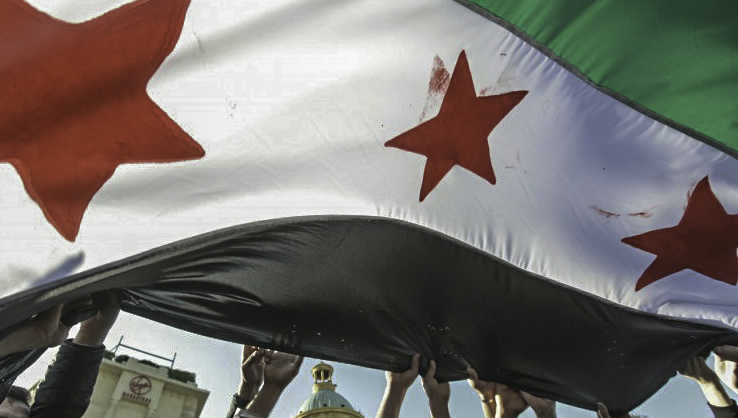 So, back to Syria… Another article, Syria: The Need for Negotiated Peace Efforts, points out the need for more regional involvement to solve the conflict. “The first element is the regional dimension — bringing together the major external powers which have an influence and an interest in the Syrian conflict.” I think this highlights a dimension of peacemaking and conflict resolution that Realpolitik ignores, cultural awareness and sensitivity. I know that our government is briefed by experts on countries and regions involved in any issue. However, the people closest to the situation and with more at stake often have better, different and alternate perspectives on the situation that could prove invaluable in understanding what’s happening. Awareness of the dangers of the current situation in terms of lives lost, refugee flows, negative impacts on neighbouring countries and a permanent fracturing of Syrian society is growing. The Syrian challenge calls for creative responses. The common theme must be on the duty of all parties to start negotiations in good faith. Creative solutions to these problems also involves a willingness to see these situations with new eyes and from new perspectives, even and especially, those that conflict with our own. Another article, Syrian Anarchist Challenges the Rebel/Regime Binary View of Resistance, challenges the typical portrayal of the conflict in Syria. From everything I’ve read there are non-violent groups and movements within Syria, but the only option discussed is either supporting rebels using violence or using violence ourselves. The article links to an incredible online, interactive map which documents the network of groups involved in resistance in Syria. This is not a simple government versus rebels story (in most cases historically it’s never that simple). There’s much more in-depth analysis of the details of the conflict than I can share here, but worth the read. So what should be done? What actions should be taken? I have linked to articles with good ideas. Ideas worth trying. Yet, I’m not here to play armchair foreign policy. I don’t think that I have answers that will result in perfect choices, but I do believe that the Prince of Peace has given us a better way. War is easy. Peace is hard. We deserve leaders who work hard. We should oppose war no matter which “team” is in power. I would just add that although peace is hard, it is worth it. It is also the ultimate vision, as Christians, of God’s perfect rule and order over creation which we see in the original creation story and the vision of Isiaiah in which even the violence between predator and prey is eventually ended (that’s a whole other post to unpack that idea though). Though I fear for more violence and pray for a different outcome in Syria, I also know that this has been the way of the world for centuries. I hope that I can be a part of standing against that way of being by speaking out on behalf of others, arguing for a better way and most of all living out that better way in my own life and community. Hi Lucas! 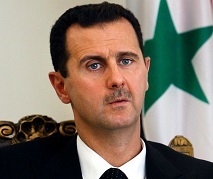 Your article has given me new thoughts on the Syrian Crisis. More war is never what I would consider the right answer, but also I am generally the last person to think more law will help any situation when the government is involved. Thank you for your insight! I appreciate your reference to the Pax Ramona, my daughters and I studied that a bit in our homeschool curriculum this year. Sadly, I was not paying attention when Mr. Honeycutt explained it! I understand your feelings about government. It often feels like just a huge bureaucracy that can never quite get anything done for good or bad. That’s why it’s helpful i think to remember that law, even in the Bible, is provisional. It’s a step on the way to something better. So, it’s important to remember that it’s flawed and imperfect, but also that it has a role to play in a broken world that needs boundaries to make it work better.